When most people hear the term chemotherapy they think of treatment to cure cancer. 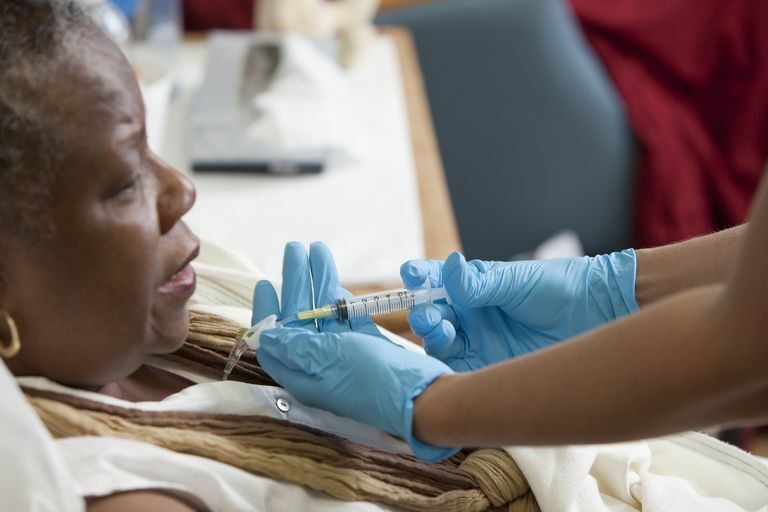 While it’s true that chemotherapy is often used as an attempt to cure cancer completely, it can also be used palliatively as a way to extend life and alleviate symptoms. The primary goal of chemotherapy is to shrink tumors and stop the growth of cancer. If it’s been determined that cancer cannot be cured, chemotherapy may still be beneficial to shrink tumor size enough to alleviate the physical symptoms of cancer and to slow the progress of cancer enough to extend life. This idea of palliative chemotherapy is relatively new. It’s only in recent years that that alleviation of symptoms has become an important component of clinical trials for cancer research. The use of chemotherapy in advanced, late-stage cancer remains a controversial subject in the medical community and patients and their loved ones are often stuck in the middle, wondering whether to pursue aggressive treatment or focus on comfort measures only. It’s important as a cancer patient to understand the basics of chemotherapy and the benefits and risks of palliative chemotherapy. Chemotherapy usually refers to chemical agents such as alkylating agents (i.e. Cytoxan), anti-metabolites (i.e. 5-FU), and anti-tumor antibiotics (i.e. Adriamycin). These chemicals are designed to kill cancer cells and prevent them from growing but they aren’t biased. They attack healthy cells as well, causing side effects such as nausea, hair loss, and infections. While not technically considered chemotherapy, other drugs may be used palliatively to shrink tumor size and slow cancer growth. They include hormone therapy and immunotherapy. Hormone therapy is the use of hormones to slow cancer growth, such as estrogen to slow cervical cancer, tamoxifen to slow breast cancer, and anti-androgens for prostate cancers. Immunotherapy is designed to stimulate the immune system to better recognize and attack cancer cells. For palliative purposes, most oncologists prefer to try the treatment with the least risk of side effects that would negatively impact the quality of life. This means that hormone therapy may be tried before toxic chemotherapies. Chemotherapy, no matter what its intended purpose is, isn’t risk-free. It’s also notorious for causing distressing side effects. The risks versus potential benefits and the effect on the quality of life must be considered. The best indicator of risk versus benefit is your performance status (see table below). If your performance status is restricted, you will be more likely to develop serious side effects, such as chemotherapy toxicity. Tumor size and sites of metastasis, meaning sites that the primary cancer has spread to, should also be considered. Larger tumors and cancers that have multiple sites of metastasis will be less likely to respond to palliative chemotherapy. It’s also important to consider how palliative chemotherapy will affect your quality of life. The components of quality of life may look slightly different from person to person but typically include physical well-being as well as emotional, social, and spiritual well-being. If the chances of palliative chemotherapy providing you with increased physical comfort are good, you have a reasonably high functioning level and a strong support system for your emotional and spiritual health, you might decide to proceed with the treatment. If, however, the chances of developing serious side effects are high, the burden of ongoing treatments and tests is heavy, and you are emotionally and spiritually drained, the likelihood of palliative chemotherapy improving your quality of life is probably poor. When considering palliative chemotherapy, talk to your doctor about the risks versus potential benefits. Gather as much information as you can about your cancer and the likely affect palliative chemotherapy will have on tumor size and quality of life. There is no right answer for every cancer patient. Quality of life is deeply personal and things that are important to one patient may not be so important to you. Take time to examine your needs, desires, and the things that are most important to you. Armed with the right information from your doctor and confidence in your personal goals, you’ll be well equipped to execute the decision that is right for you. Roeland, E., and T. LeBlanc. Palliative chemotherapy: oxymoron or misunderstanding. BMC Palliative Care. 2016. 15:33. Sun V. Palliative Chemotherapy and Clinical Trials in Advanced Cancer: The Nurses Role. In: Ferrell, BR and Coyle, N; Textbook of Palliative Nursing, Oxford University Press, 2006.